HSAs first came into existence in 2003 and they have been gaining momentum as a way to deal with increasing health care costs ever since. If you, as a plan sponsor, do not already offer a health plan compatible with an HSA, chances are you’ve at least discussed them during your annual plan reviews. So, what exactly is an HSA and what is an employer’s responsibility relating to one? Confirm employer involvement in the HSA does not create an ERISA plan, or cause a prohibited transaction. Plan sponsors should make sure their plan meets certain HDHP requirements before making contributions to participants’ HSAs. An HDHP is a health plan that has statutorily prescribed minimum deductible and maximum out-of-pocket limits. The limits are adjusted annually for inflation. The limits for family coverage (i.e., any coverage other than self-only coverage) are twice the applicable amounts for self-only coverage. The limits are adjusted annually for inflation and, for a given year, are published by the IRS no later than June 1 of the preceding year. 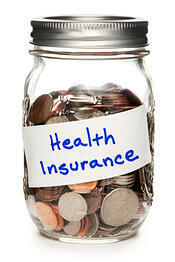 In addition, an HDHP cannot pay any benefits until the deductible is met. The only exception to this rule is benefits for preventive care. Eligible Individuals can make or receive contributions to their HSAs. A person is an eligible individual if he or she is covered by an HDHP and is not covered by any other plan that pays medical benefits, subject to certain exceptions. Employers that contribute to the HSAs of their employees may do so inside or outside of a cafeteria (Section 125) plan. The contribution rules are different for each option. When contributing to any employee’s HSA outside of a cafeteria plan, an employer must make comparable contributions to the HSAs of all comparable participating employees. HSA contributions made through a cafeteria plan do not have to satisfy the comparability rules, but are subject to the Section 125 non-discrimination rules for cafeteria plans. HSA employer contributions will be treated as being made through a cafeteria plan if the cafeteria plan permits employees to make pre-tax salary reduction contributions. The employee’s age (for catch-up contributions). The employer may rely on the employee’s representation as to his or her date of birth. When employers contribute to the HSAs of their employees and retirees, the amount of the contribution is excludable from the eligible individual’s income and is deductible by the employer provided they do not exceed the applicable limit. Withholding for income tax, FICA, FUTA, or RRTA taxes is not required if, at the time of the contribution, the employer reasonably believes that contribution will be excludable from the employee’s income. An employer must report the amount of its contribution to an employee’s HSA in Box 12 of the employee’s W-2 using code W.
or receive any payment or compensation in connection with an HSA.